The Moonstar Hotel is a quiet hotel boasting the perfect location along the beachfront. There are 123 rooms here, all with air conditioning, balcony or terrace and TV. Although the hotel is in a peaceful location, the center of Bodrum is just 12km away where you will find water parks and the stunning marina where you can find boat trips. The main square has a great selection of restaurants and a lively nightlife with everything from traditional Turkish bars to nightclubs. This hotel is perfect for a relaxing stay with the family in Turkey. There is evening entertainment, a mini-club and separate pool for children. If you're feeling active then there is a basketball court, table tennis and various water sports in the pool. Moonstar Hotel is fully air-conditioned for the comfort of guests who can make use of the range of facilities on offer at this complex, welcoming 24-hour reception, supermarket, currency exchange desk and laundry service. It has half Olympic size outdoor swimming pool, children swimming pool, children play garden, massage, table tennis, billiards, soft animation and also indoor & outdoor restaurant, snack bar and pool bar. This hotel features an outdoor pool with sun loungers and parasols. Hotel’s restaurant serves breakfast, lunch and dinner in buffet style. Outdoor seating by the pool area is also available. The bar is ideal for alcoholic and non-alcoholic drinks. 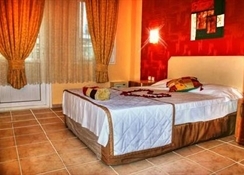 Decorated in warm colors, rooms at Moonstar Hotel include a TV with satellite channels, wardrobe and a mini refrigerator. Private bathroom comes with free toiletries and a hairdryer. All rooms offer air conditioning and a balcony with pool views. 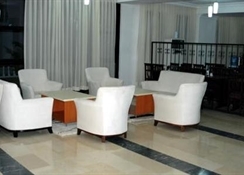 Guests can play a game of billiards, table tennis or darts. Free WI-FI is accessible in public areas. There is room service and laundry. * Special Info: Important Information: Please note that rates displayed are not valid for Turkish passport holders who are not resident in UK. 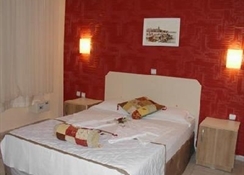 Moonstar Hotel is located in Ortakent right near the beautiful longest blue flagged beach. It is 50 ms to the sea and Miles-Bodrum Airport is 45 km away.